At its Dec. 15 Recessed County Board Meeting, the Arlington County Board voted 5-0 to approve the use of the northwest portion of the Thomas Jefferson Middle School and Community Center site (currently a parking lot) as the site for a new south Arlington elementary school. the Board’s action came in response to the Arlington Public School Board’s request that the site be approved. Earlier: After a year of back-and-forth over choosing a site for a new South Arlington elementary school, the County Board is expected to reconsider the land around Thomas Jefferson Middle School for the project. 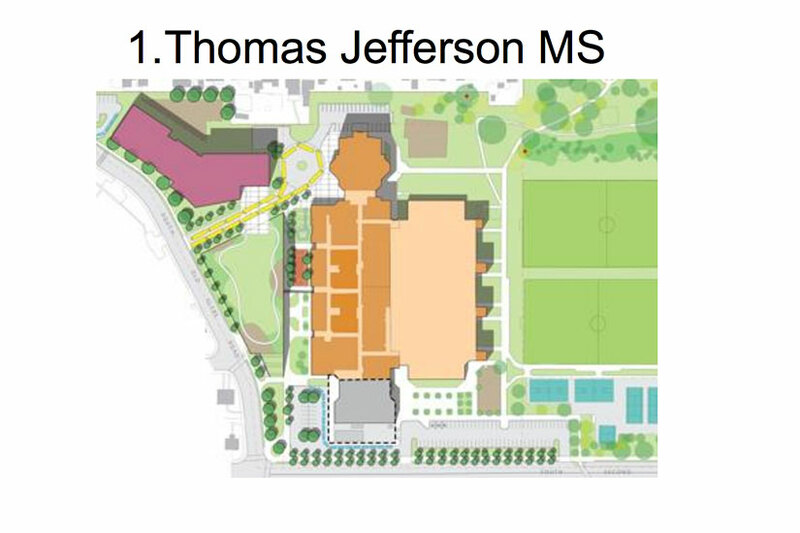 The Thomas Jefferson site is the final item on tonight’s recessed meeting agenda. The County Board originally rejected the School Board’s request to build a new elementary school on the county-owned land, following objections from a vocal group of residents who expressed concern about parkland and traffic. As part of the rejection, the Board agreed to reconsider the request if APS took adequate time and measures to analyze other potential sites. The South Arlington Working Group was established in June for that purpose. The group’s work was finished earlier this fall. 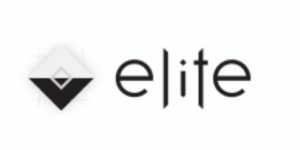 It considered approximately 20 different potential sites, choosing Thomas Jefferson Middle School, Gunston Middle School/Oakridge Elementary School and Drew Model Elementary as the finalists. In its most recent report, the group once again preferred the Thomas Jefferson site. The School Board, which voted on Dec. 3 to select the TJ site, is asking the County Board to do the same so that the proposed project could be completed in time for the beginning of the 2019-2020 school year. The County Manager is now also recommending the Board approve the TJ site for the school, which would then be subject to use permit approval, design adoption and other planning processes. The Friends of Thomas Jefferson Park group, however, says it’s still “concerned” about an elementary school on the TJ site, despite steps taken to mitigate negative impacts on the park, which is adjacent to the middle school. “We ask that if you select this location for a new elementary school, you commit to fully funding necessary improvements and ensuring the community continues to have full access to park and recreation assets at Thomas Jefferson Park,” the group said in a letter to the County Board. Funding and specific plans for the elementary school project have not been finalized. However, when the Superintendent first proposed a new elementary school in his 2015-24 Capital Improvement Plan, the plan said the school would cost $50 million and have 725 seats.